Unlikely as it may seem that there is a nearby town it does, however, offer a lively nighlife scene. 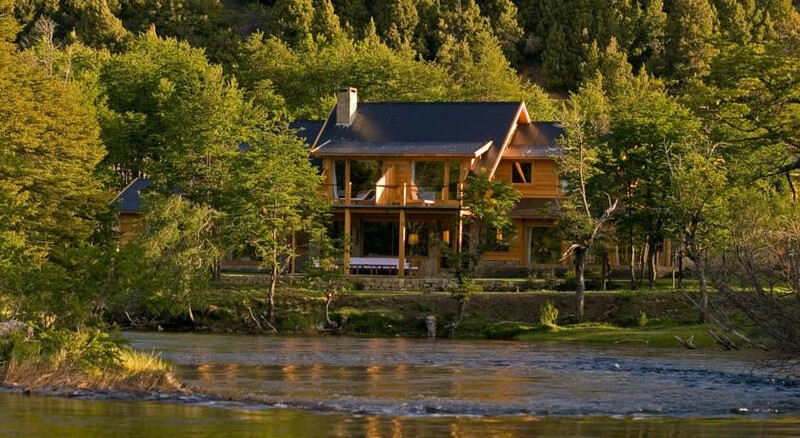 Spend hours wandering through the forest, following the river and admiring the mountains. Take a course in fly-fishing. Hire a bike and head out to explore the surrounding landscape. "Drop out of life and into a soporific, sophisticated wood cabin; by day don hiking shoes to explore the green clad mountains of Lanín National Park, by night laze under a sky of stars and reminisce over adventures in this prettiest of Patagonian playgrounds." A quaint lodge nestled amidst rugged pine forests and surrounded by mountains.